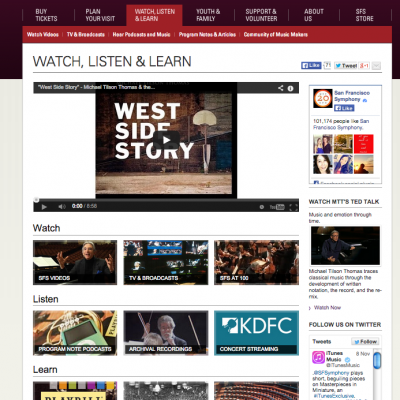 The San Francisco Symphony has a dynamic presence on traditional broadcast as well as new media channels through its long-term commitment to media innovation. 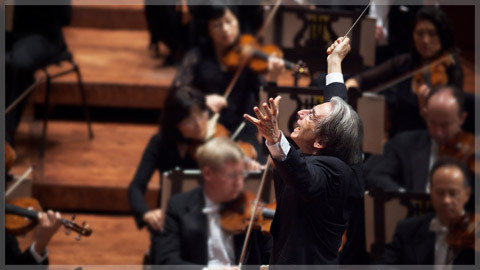 The San Francisco Symphony and its Music Director Michael Tilson Thomas celebrated their 20th anniversary together in 2015, a history that includes significant investments in media projects. Launched in 2006, San Francisco Symphony’s Keeping Score project is a multi-faceted effort to engage audiences of all ages and experience levels through media, from DVDs to classroom programs, multimedia educational websites, and series on PBS and public radio stations. SFSKids.org features interactive educational games, allowing children to create music, explore themes, and learn about conducting, musical notation, and classical music concepts. Adults can study program notes online, listen to concert insights in podcast form, read articles and interviews, and explore special websites highlighting past programming, from convenings of orchestra leaders on SymphonyForum.org to American composers on AmericanMavericks.org. 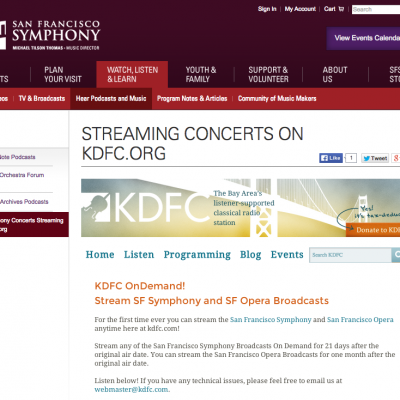 In 2016, the San Francisco Symphony webcast a free world premiere via “Facebook Live,” becoming the first major orchestra to use this live streaming platform. 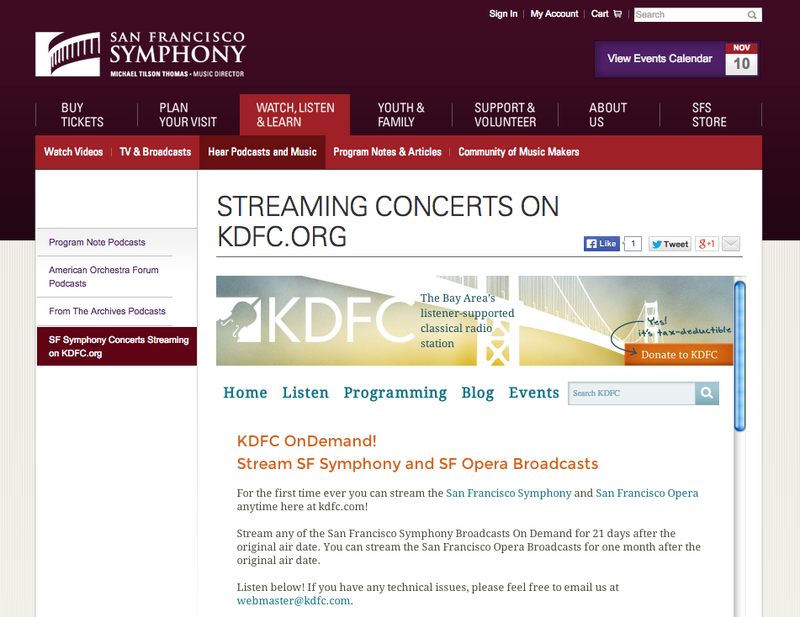 Amidst its online activities, the San Francisco Symphony has not forgotten the live music experience. An underground rehearsal-space-turned-music-venue, Soundbox, is replete with a Meyer Sound Constellation Acoustic System that enables the acoustics to be manipulated based on the music being performed. 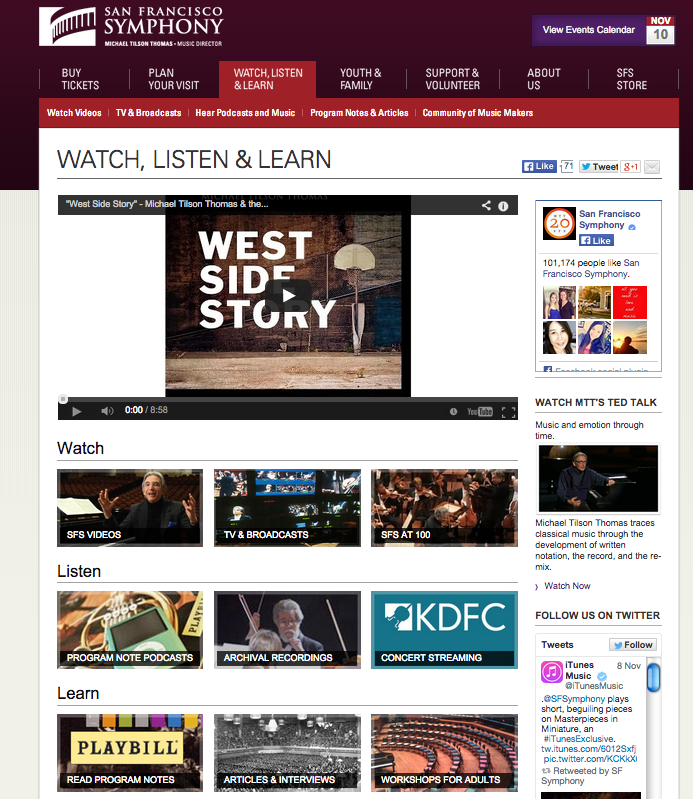 The experience at Soundbox is designed to draw new audiences and, in an unusual marketing turn, Soundbox has minimal visibility on San Francisco Symphony’s main website, keeping regular audiences at bay and while working to attract new listeners who are being engaged via social media.